On 8 August 2018, ICWA co-presidents Bernadette Pajer and Drella Stein, and ICWA Board Member Jennifer Rushing, gave the following testimony to the Washington State Board of Health in Olympia, WA. We—the parents and doctors and professionals of Informed Choice WA—have been attempting to bring the latest science on vaccines and discoveries about the human immune system to the various public health agencies of WA State, especially the DOH. In doing so, we thought we would be beginning genuine discussions that would lead to change that would align vaccination policy with known vaccine limitations and risks and unintended consequences to protect individuals and the public. Instead, we have discovered a network of government and drug industry entanglements so complex and so richly funded, they form a pervasive tightly woven fabric consisting of literally thousands of groups all working together toward one thing: increasing vaccination uptake, and that fabric includes those working in public health at the DOH. They partner on projects, review each other’s communications, and hold annual meetings, and most of it is paid for by the pharmaceutical companies. While we, the general public and concerned parents, are limited to 3 minutes of public testimony, drug companies are given access to DOH information, given opportunities to have meetings, seminars, and phone calls. We submit pages and pages of recent scientific data revealing that the information posted on the DOH Website and the materials they distribute are in critical need of editing to keep the public safe no matter what their vaccination choice – and we are ignored – worse – our efforts to improve safety, to improve informed consent, and to protect medical freedom, are looked at with disdain, with eye-rolling, and with drug industry funded education of DOH immunization employees, showing them how they can legally lobby and press for their agenda—and their agenda includes the elimination of all non-medical vaccine exemptions. At the July 19 Vaccine Advisory Committee meeting, Dr. Doug Opel was invited to present on vaccine hesitancy and to provide advice on approaches providers can use to compel a hesitant parent or patient into being vaccinated. It is unethical and completely out of the scope of the DOH’s work to go beyond the general recommendations on vaccination and step into the middle of the doctor-patient relationship. It is unethical and outside the scope of DOHs work to teach doctors how to convince and coerce their patients instead of encouraging them to understand their patients’ individual risk factors and give them the information needed to exercise fully informed consent. Michelle Roberts is WA State director of Immunization and now chair-elect of AIM. At the conference in June, she and two others from our DOH were taught how to lobby and influence legislators without breaking the law. She was shown a list of informed consent, medical freedom, and health advocates as if they were her enemies, and told AIM is, quote “facing a tightly coordinated effort”. She was told we who hold informed consent and medical freedom and health sacred are using “tactics” such as – gasp – visiting our legislators and attending public meetings like this one today. Michele Roberts and every single immunization program head in every single state has a mission to remove our human right to medical choice, to silence the very real risks and limitations of vaccines. And they are doing so with the full support, collaboration, and education of Pfizer, and Merck, and GSK, and Sanofi, and Dynavax, and AstraZeneca, and Seqirus. We are asking Secretary Wiesman for a meeting to discuss this critical issue. Thank you. When you discuss foundational public health, I hope you will focus sufficiently on chronic illnesses facing our children today, and environmental health issues, such as pesticides, flame-retardants, fluoride, and other pollutants, which all contribute to this huge increase in chronic illness and neurodevelopmental disorders. And most of all, please consider that the nation’s top vaccine experts, including Stanley Plotkin, in a CDC-commissioned white paper,** acknowledged that there is biological plausibility for these chronic illnesses and neurodevelopmental disorders to be outcomes from exposure to the entire pediatric vaccine schedule. These outcomes include autism spectrum disorders; learning, communication, and developmental disorders; Crohn’s disease; Multiple Sclerosis; allergies; and asthma. It is imperative, at the state level, that we recognize that the one-size-fits-all vaccination policies to combat infectious disease may be contributing heavily to the chronic disorders plaguing our children, and that we need to look at a more personalized approach to vaccination. You are public health. You are here to serve and protect us, not the pharmaceutical companies. We implore you — be brave; please don’t work to further the goals of the vaccine makers at the expense of the health needs of our children. It is not appropriate to focus primarily on the financial burden of infectious disease when the financial, emotional, and human burden of chronic illness and neurodevelopmental disorders is crushing us. It is crushing our children, our families, our schools, and our future. We can fix this, but only if we face the truth of the unintended consequences of our vaccination policies, and only of we do the vaccine safety work that HHS and Stanley Plotkin admit has not been done. Later in this meeting you will be shown slides that claim that in the 2017-2018 school year, only 85.6% of kindergarteners were complete for all vaccines – this is intentionally misleading. In WA State, a child must be five years old as of midnight August 31 of the year of entry to be entitled to enter kindergarten. That means many Kindergarteners are 5 years old for the entire school year. The CDC schedule shows the second MMR, second varicella, 4thdose of polio, and 5thdose of pertussis, can be given between the ages of 4 and 6. And all of the DOH data, RCWs, and WACs refer to the CDC recommended immunization intervals. So if parents and providers are going by guidelines distributed by DOH and CDC, then there will always be some Kindergarteners who don’t yet have those doses. With 95% of individuals developing sufficient measles titers following the first dose, any children who have not yet gotten a second dose are still very likely protected. A second dose only catches 1 or 2% more. It would just be a very small percentage of those who haven’t gotten the second dose who may not have sufficient titers and who would also respond to a second dose. There will always be a small fraction of non-responders to both. And it is well known the pertussis vaccine doesn’t prevent colonization and transmission, that pertussis is being spread by and to fully vaccinated children, and a study out of the New England Journal of Medicine says that “After the fifth dose of DTaP, the odds of acquiring pertussis increased by an average of 42% per year.” Do we really want to push for the 5thdose? When WA reports low Kindergarten rates, they are presented as if they are real numbers, as if the children are a danger to society, at risk of death, or out-of-compliance, and that is absolutely not true. As you know, there is a huge push by AAP and NACCHO and AIM and others to get rid of all PBEs, and they like to use these Kindergarten numbers in media articles to push their agenda. In fact, at their June conference this year, AIM members were instructed to continue to use Kindergarten rates in their state reports for this very purpose. Michele Roberts, chair-elect of AIM and director of immunization here in WA, was at that meeting. And so I ask you, the Board of Health. Why does WA tracking of immunizations not align with federal and state requirements? Why create a situation that artificially creates out-of-compliance cases? That artificially create low Kindergarten vaccination rates? 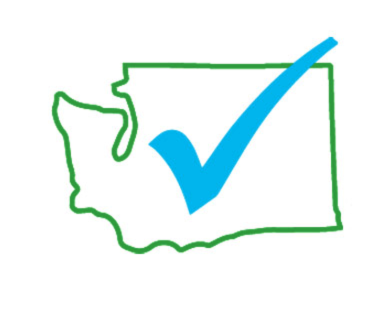 By the first grade, WA state MMR compliance rates are up to 96.1%. If you truly want an accurate picture of rates, why not track first graders? These numbers games and misleading messaging are adding to the growing mistrust the public has with vaccines and with vaccination policies and with public health. We ask you to put a stop to them. The methodological research approaches suggested in the White Paper for using the VSD data to study these outcomes will not provide meaningful results. To the contrary, the approaches seemed to be designed to further obfuscate the truth. Only rigorous, independently designed and executed studies of the VSD data, as well as properly designed biological mechanism studies in animal models, will provide the answers we need. Some biomarkers of vaccine injury are already known, and others must be found and utilized to detect immediate and unfolding (latent) adverse reactions as soon as possible so that appropriate biomedical treatments can be implemented.